Green grass, blue sky and the crystal clear waters of Wisconsin are the ingredients in Wisconsin Meadows Grass-fed Beef. 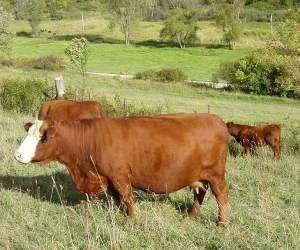 Taste the provenance and diversity of Wisconsin’s pastures and seasonal variances which produce a rich, beefy flavor compared to the bland, cornfed, homogeneous feedlot product most Americans are used to. 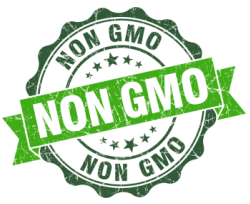 With the proper genetics, and careful stewardship of our pastures, we can produce quality lean and tender beef without the use of corn or grains. We think you will appreciate the subtle nuances in the flavor! 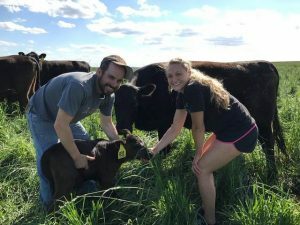 The Wisconsin Grass-fed Beef Cooperative is made up of about 185 Wisconsin family farms believes that rotationally grazing cattle is the best way to raise lean, tasty beef. Our well-managed pastures protect soil and water resources and provide wildlife habitat. We care about that, because we live here, too! Ingredients: Sunshine, Green Grass, and Crystal Clear Water! Humanely raised cattle who spend their entire lives living in (and eating) Wisconsin meadows! We raise old world British breeds such as Devon, Angus, Galloway, White Park and others proven to be hearty and thrive on an all-forage diet. 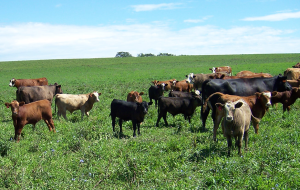 Low-stress handling and rotational grazing keep both the cattle and the pastures healthy. 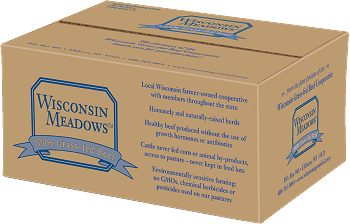 Wisconsin Meadows™ is the brand name we have chosen for our 100% grass-fed naturally raised beef. Our aim is to bring locally produced grass-fed beef to the closest markets, by establishing groups of farms around the state, and sending their cattle to nearby processors and on to restaurants and stores in the nearest markets. Our member farms are committed to producing high quality, sustainably raised beef for Wisconsin. Working cooperatively, we’re able to keep the best interests of both our customers and the families who farm the land in mind. We are grateful to those who support our mission with their food dollars and allow us to keep on grazing!